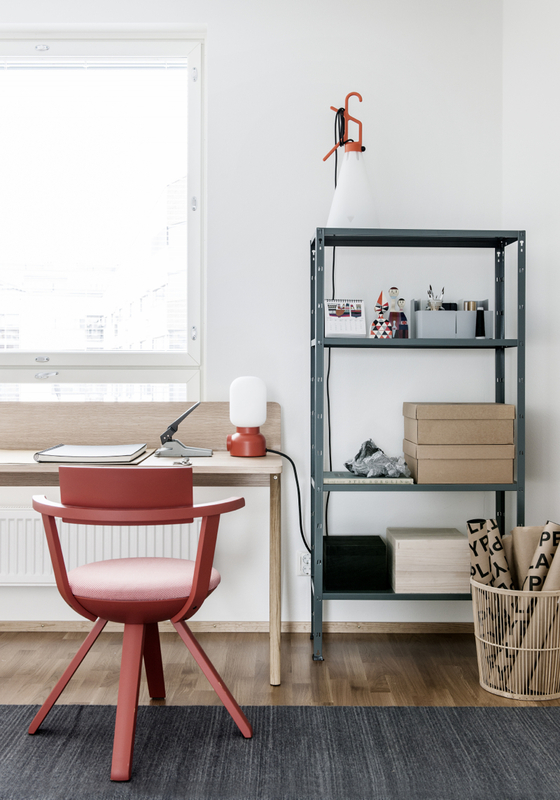 I really admire the styling work of Minna Jones, and love following her blog Time of the Aquarius. 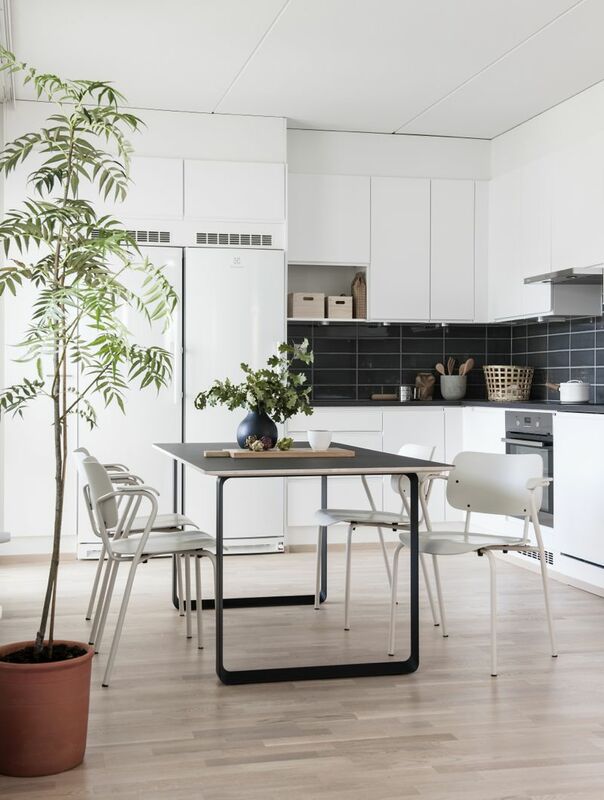 Recently she worked on an interior design project in her home town of Helsinki, for two new waterfront apartments. 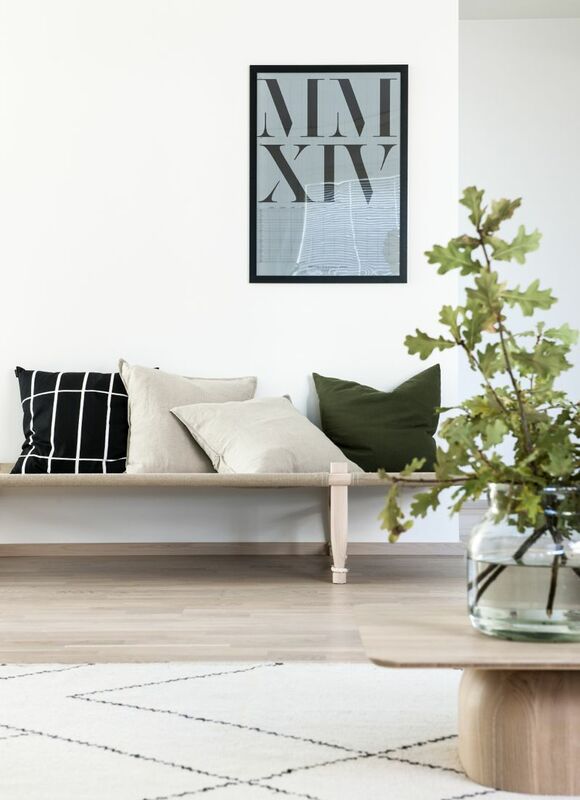 Just like her own home which is always styled beautifully, the spaces showcase her love of Scandinavian design and talent for artfully mixing new design pieces with vintage finds. The living room in the first apartment is the perfect example. 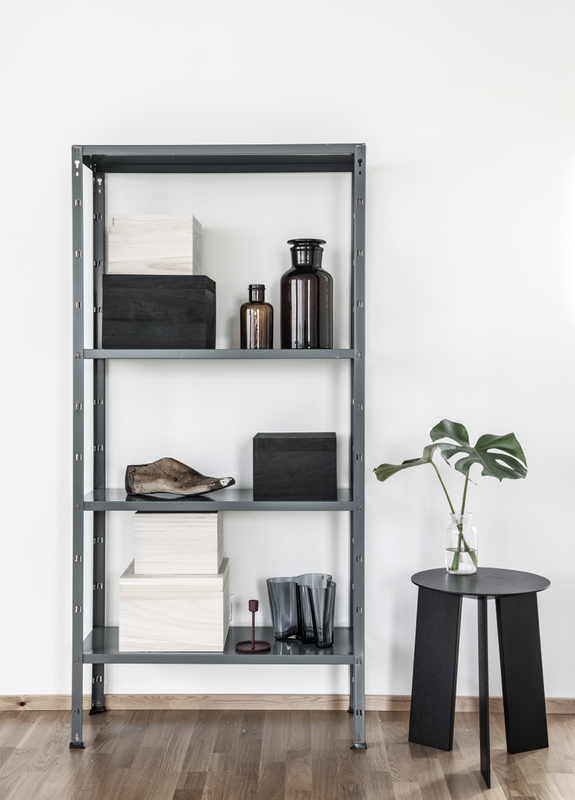 Light and airy, Minna has chosen stunning furniture from Muuto and Gubi and added a vintage Merivaraa glass and metal trolley. 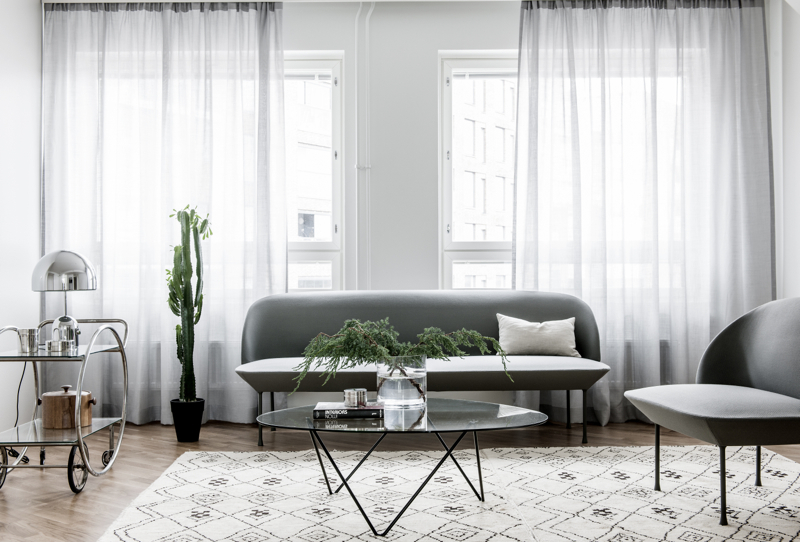 Sheer curtains, a large patterned rug and plants provide warmth and texture. 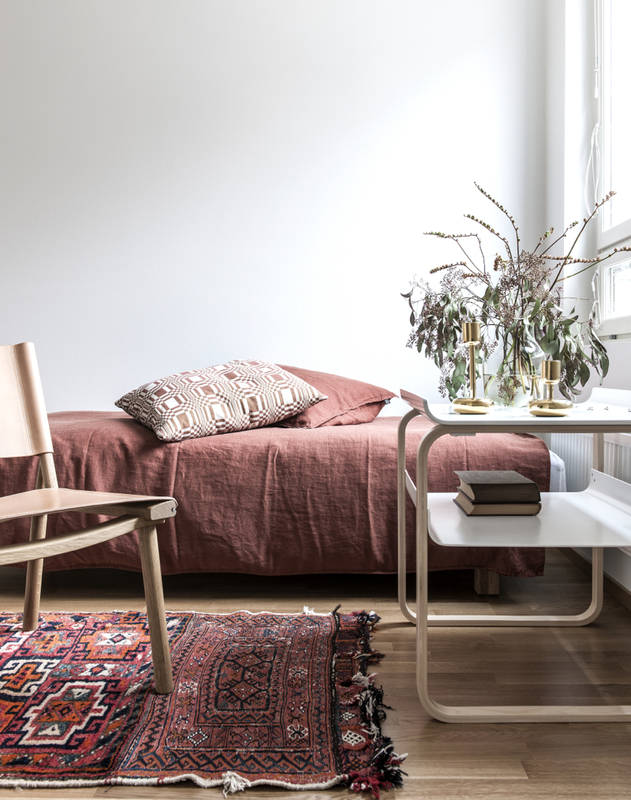 Warm wood elements in the bedroom and office are given a vibrant punch by way of red linen bedding, a vintage rug and stunning Rival Chair by Konstantin Grcic. Understated yet elegant, the living room in the second apartment again showcases a fabulous mix of old and new. 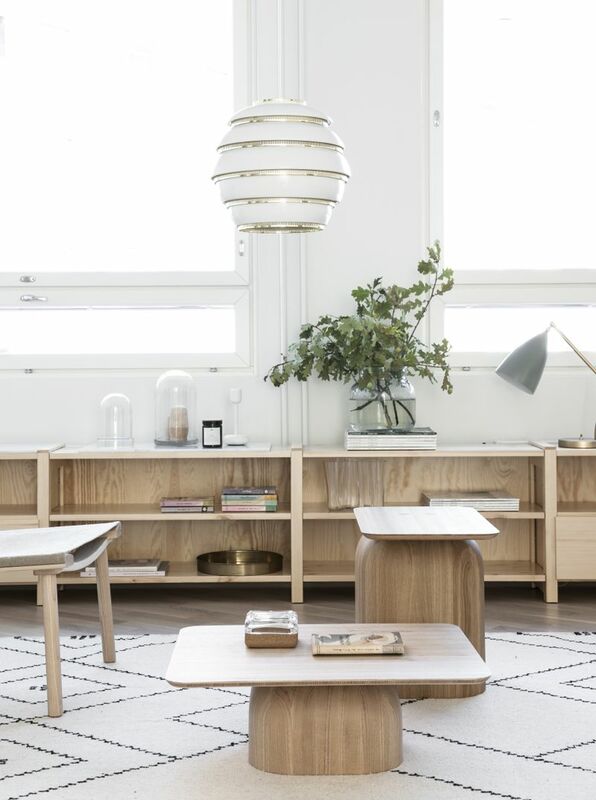 An iconic beehive Pendant Light by Artek hangs above exquisite furniture from Nikari, a Finnish manufacturer of sustainable wood furniture, and a custom made side board by Lundia. 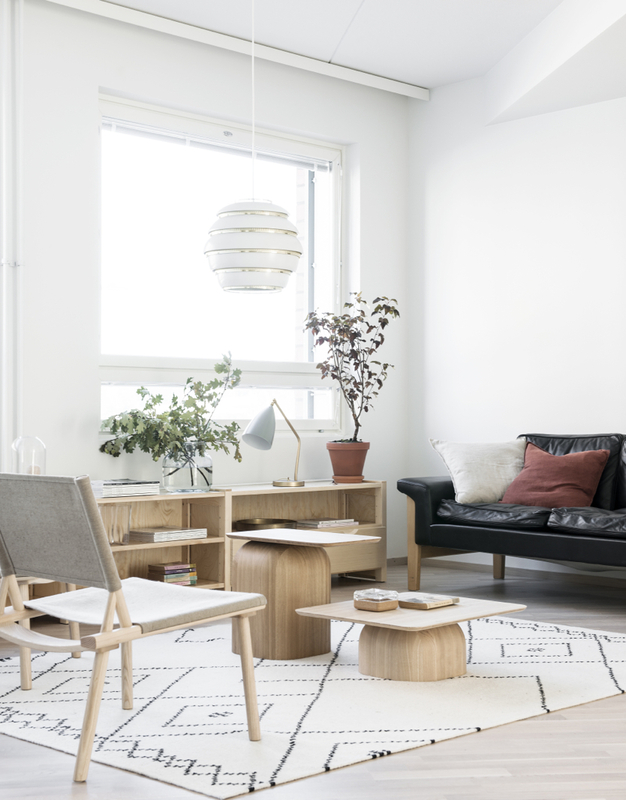 The vintage black leather sofa fits in perfectly and gives the space a lived-in feel. 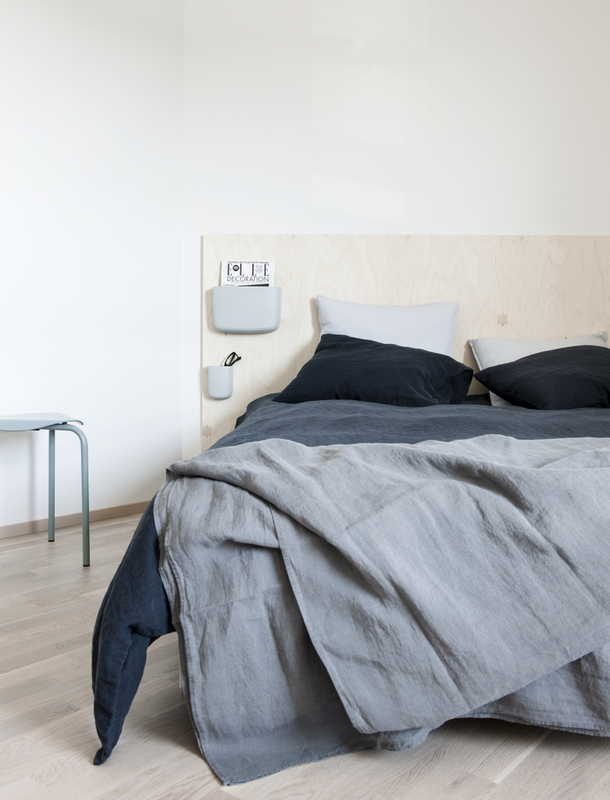 Recently featured in my Bed Head Ideas + Inspo post, I can't get enough of the DIY plywood headboard and Normann Copenhagen Pocket Organisers. 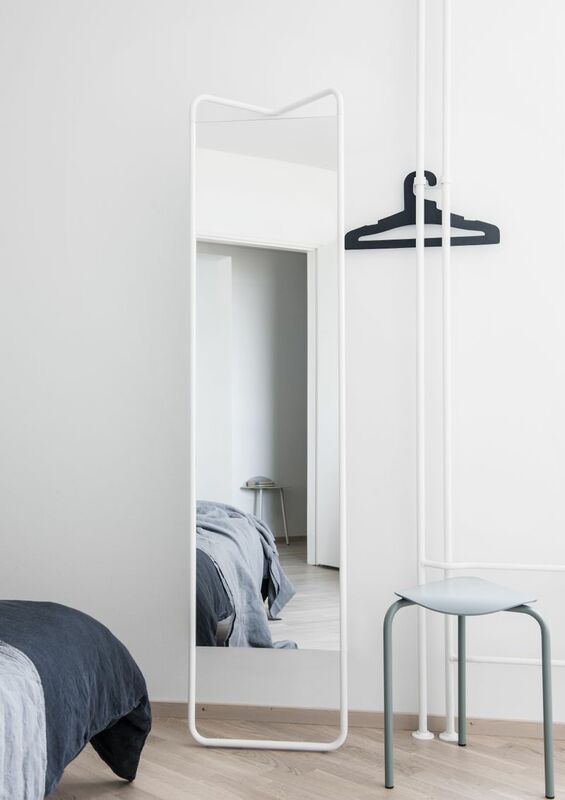 I was pleased to see more of the room, including a full view of the beautiful grey linen, and Kaschkasch Mirror by Menu, which is still on my wishlist!